in1000words | In 100 words | Music reviews in a few words, for the hasty! This has been a busy year. Some of us might recall their first listen of releases by Eels, Surfer Blood, The Soft Pack, The Besnard Lakes, Roky Erickson, Tom Petty, Arcade Fire, Grinderman, Robert Plant, Kings of Leon and Girls – thus actually recalling the span of 2010. Diversity, plenty of it: so much in fact that if the year must be seen through the ear, it’s gone fast and not so badly. As it is now gone indeed, the time for reflective praise and awards has come. Everyone’s favourite publication has probably already gone crazy with lists and snide comments about the competition. I will try to refrain with comments. It doesn’t make me a believer of the Pitchfork Church. Sure, their favourite record is quite mainstream (Kayne’s “My Beautiful Dark Twisted Fantasy”) but their top 100 often takes the definition of what’s good closer to the one of what’s never been heard of. It is no surprise, and it might be very accurate – they might have both the greatest musical tastes and fantastic connections with the underground. That argument doesn’t really matter though. Complaining about Pitchfork’s hipsterism is pure lack of curiosity. Never heard of this artist they like? Give it a try, don’t just assume it’s crap. Although it probably is. The most interesting comment I’ve come across during this entertaining season has in fact been the not so original cry of “This can’t be the best record of the year: critics never listen to everything, and even the things they’ve heard, it was only just twice. Plus it didn’t even sell that much.” It sounds like Ricky Gervais, but it’s the point of a very real article from The Independent. First, yes, some critics only give a record a couple of listens before writing their review. Sometimes it’s quite enough. But when they give it a really good review, the kind that makes the record a possible contender for the « …of the year » title, you can bet they won’t just stop at two listens. If they enjoyed something, they won’t just brush it aside just because there are so much other things to listen to. I know for a fact that LCD Soundsystem have some fans in the British music journalist army who’ve made sure the floor of their office has shared, numerous time, their enthusiasm. As for the number of copies sold, that has to be a joke. From The Independent, so a brainy one. Numbers do not make truth, quality or reason. It makes the norm. It might therefore be « normal » to like and buy records by Susan Boyle or Taylor Swift, who’ve both sold truckloads of their…material. It doesn’t make it right. Sure, musical tastes are subjective, like most things that aren’t purely scientific, but one might consider the opinion of trained, trusted individuals who have built their lives and professionalism around music a notch more than the purchasing habits of a mass whose consumption of the art is mostly fuelled by MTV, X-Factor, commercial radios and advertising. By the way, the world you’re looking for is “snobbery”. The Besnard Lakes' "Are The Roaring Night"
The Goo Goo Dolls try very hard at being many things. They try to be Smashing Pumpkins but haven’t got nearly enough rage. They try to be Stereophonics but it’s so obvious they just fail miserably. They try to have a hit on the world’s radios, and sadly they might. Their power-pop is drenched in forced platitudes and can be best described as the masculine version of a Taylor Swift song. Over a full record. Of course, in this sub-category of musical genres, “Something for the Rest of Us” is probably okay. Compared to actual music, it’s the worst thing I’ve heard this year. And it still is, three months after. Congratulations for making the worst record of 2010! As for in100words’ best record for the year, the contenders have to be The Black Keys’ “Brothers”, Arcade Fire’s “The Suburbs” and The Besnard Lakes’ “Are The Roaring Night”. The two first entries have been remarkable in at least two ways, as they are indeed great records but have also underlined a change in their creators’ music. The Black Keys have opened their usual gritty and heavy blues rock sound to “softer” influences, offering themselves to a much deserved mainstream success. As for the Canadians of Arcade Fire, their grandiloquent orchestral pop has been somewhat tuned down, resulting in a yet still powerful and illustrative work. 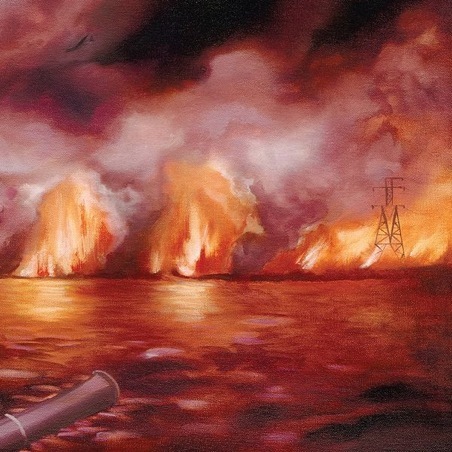 The Besnard Lakes still evolve a bit further down the radar from the two previous entries. Their music is often described as cinematic – it is a mixture of indie rock, psyche and orchestral that enables listeners to travel across beautiful (or terrible) musical landscapes. “Are The Roaring Night” has confirmed their certain talent in such a craft and, after only two records, they are already set to become references in this interesting category. 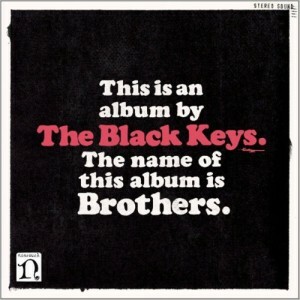 The Black Keys: two bearded Americans, locked-down in the basements of Ohio and committing a greasy, aggressive and addictive kind of blues – they are what every kid should aim to become. Playing the guitar, inspired by Hendrix’s electric blues and, with the help of a drummer fellow, building songs as feverish and dense as the ones you could find on “Brothers”, the band’s 8th record. The fans will notice that they sometime went for a “pop” angle here and there, but on the whole thing, the Black Keys do not disappoint. If you’re not a fan, then you’re late, it’s time you start working on that. Hooray, then, and happy new year.